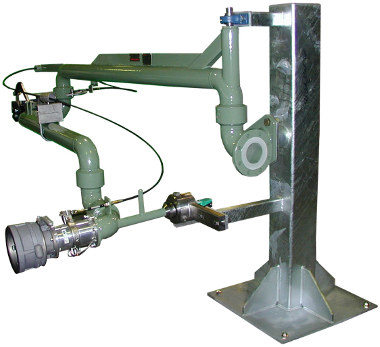 Transferring media to or from a road tanker or railcar exposes the Loading Arm operation to the risk of the vehicle moving away and beyond the media transfer loading arm safety envelop. When an incident occurs during loading or off-loading, either due to accidental truck drive-off or railcar shunt then there is a high risk of transfer equipment rupture. Damage to equipment will then cause spill of the transfer medium which increases the risk of injury, extended downtime and clean-up costs. The reputation of the operation is also compromised. KLAW Breakaway and Emergency Release Couplings are designed to minimise the risk of damage to the Loading Arm System and other assets. This system also minimises risk of injury to personnel and the consequences of spill in the event of accidental drive-away. The lack of a KLAW Breakaway System in the event of a drive-off can be catastrophic. KLAW Breakaway and Emergency Release Couplings are designed into the system to help protect against incidents and demonstrate the operation is designed with health and safety as a priority. The system also helps to ensure limited interruption to operations when an event occurs. 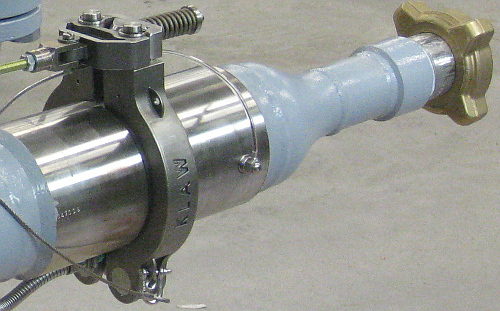 A KLAW Breakaway Coupling or Cable Release Emergency Breakaway Coupling will activate when a drive-off occurs. 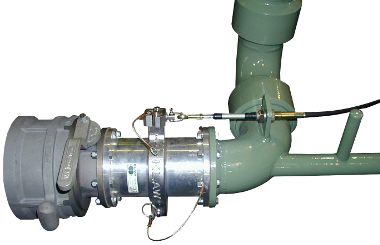 The Valves will close both upstream and downstream flow and the coupling will separate, allowing the vehicle to continue without damaging or wrenching the Loading Arm and transfer system. 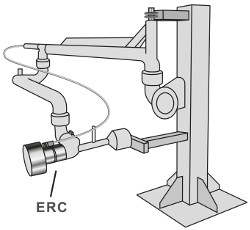 The ERC protects the Loading Arm from over-extension by activating via a cable release mechanism in the event of accidental vehicle drive-away. Shown below is a conceptual illustration of the KLAW Cable ERC protecting the Loading Arm from over-extension. Shown below is a Loading Arm with a KLAW Spring Retained ERC. In the event of drive-off, the coupling is activated. This minimises spill and deduces risk of injury to personnel and damage to assets. Clean up costs and downtime is also minimised. Contact the KLAW team to discuss the most suitable specification for your operations.